A news analysis site dedicated to providing you with up to date intelligence and analysis from the perspective of Bible prophecy. We help you to connect the dots between our headlines of today and the Bible. In the first half of my testimony we left off with a summary of my experiences in the Christian community. Actually this brings us to about 1999. As I was sitting at the computer building a web site and drinking my morning coffee, as is my habit every morning, something happened that would forever change my life plan and have a devastating affect on my life-plan. The room began spinning and in my head I heard what sounded like a locomotive. I noticed that my heart rate seemed to skyrocket as well, but I didn’t feel like I was in danger, I was just really uncomfortable and thought that my days with caffeine where coming to an end. If you knew how much I like coffee…you’d understand how disappointing this thought was to me. The Lord Calls Me to Service… Really…Now? When the call of God comes it’s not always convenient. Jonah would agree with this statement. Here I was just struggling to grasp the changes in my health that were frankly, very daunting and The Lord comes to me while I was on my computer in May of 2000, interesting that was when I accepted The Lord, back in May of 1975. So there I was at my computer and I was thinking, what can I do to serve God and help others? I had asked this question quite a bit recently, back then, I also spent time praying over the desire to not be on the sidelines, my nature is to be in the game, not a spectator. Once again, I sensed The Holy Spirit upon me, out of know where and I heard this, “Stephan, you have web building skills, build a web site that can connect the dots between The Bible and the headlines and share the ideas and concepts I give you online with the folks. Focus on Israel, the peace process, culture, geopolitics and the Middle East.” I thought for a few minutes and said great idea Lord, I’ll get started building the site right now. That very minute I started building the site and within 24 hours I was up and running with The Middle East Peace Update Report, we recently changed the name to “Prophecy Insight’s With Bro Stef.” I did this because I felt that name spoke to our mission better. In those days the Two-State Solution was big and so what I did, is what I did in 1987, I linked into my report the headline and provided commentary from a biblical perspective. This is what one of those early reports in 2003 looked like – click here. Here’s what we have evolved to 16 years later as technology has improved – click here. 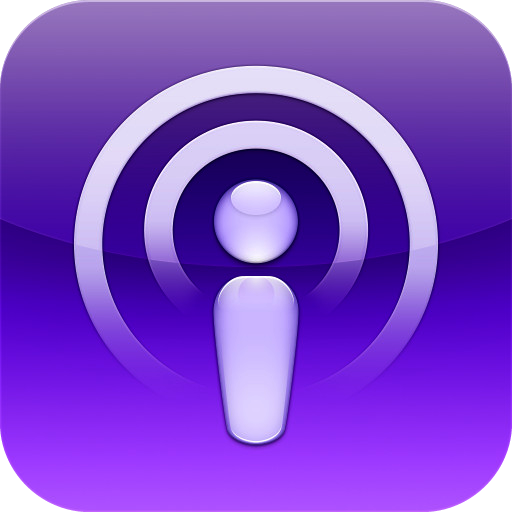 We now have a group on Facebook, Facebook Bible Insight’s Page, Facebook Prophecy Insight’s Podcast page, Twitter, an email list and following and an iTunes Podcast that we use to spread the word to all who will listen. The Lord has taught me a lot about faithfulness and persistence by staying with this ministry over 16 years now. When I feel down or alone and I contemplate ending the service, almost every time I consider throwing in the towel I get an email from someone who thanks The Lord and me for our ministry and prays that it continues. That’s all it takes and thoughts of stopping vaporize instantly. The thing I have discovered being an online Pastor is that it can get lonely because you really never know who your reaching. Recently however I have come to understand that it is up to God to speak to the folks and the growing and heart penetrating message is The Holy Spirit’s job. All I can do is pray that The Lord will speak to those who read and listen to our audio reports. Knowing who we reach is not as important as making sure that the information we deliver to you is inspired by The Lord and is truthful. If we do this then God will be glorified. With the health challenges I have to contend with having a ministry that enables me to produce reports as my health will allow as well as providing the flexibility I need to work when I feel well and take off when I don’t, this way of serving The Lord really works well for my situation. God does know what He’s doing doesn’t He? When He called me to do this He fashioned a service that would fit my skill-set and health situation perfectly. Now that’s a God thing for sure! I was actually helping my wife with customer service and built her web sites for her home based business around 1997. I formally came home to assist her in December of 1999. I made a move in 1994 from the financial planning industry where I had been self-employed for for 10 years and done very well. I maintained my licenses and maintained all “continue ed” requirements from 1994-2006 and continued to assist and help people who were referred to me with their financial planning and business needs. In fact, my mom was the last person I helped, prior to permanently hanging it up and it was around this time, when I helped my mom with some financial planning needs she had, I couldn’t have known that within a few short years after helping her that she would have passed-on. Loosing my mother was an extremely sad time for me. Not only did I loose my mom that year, we also lost our dog that we dearly loved, Honey-Girl. She was a sweet companion and friend to both Karlyn and myself. Karlyn and I cried nonstop for weeks after Honey-Girl’s death. How The Lord helped me deal with my grief. I was really close to my mom. We talked daily and we both had a passion for politics and geopolitics. When Karlyn and I were first married we spent a lot of time with my mom and made sure that our son had lots of time with his grandma. I tried to talk to her about Yeshua, Jesus and she wouldn’t listen, talk or discuss the subject. Over the years she accepted my beliefs and basically asked us, my brother and I to respect her position concerning God. I must say it always disturbed me because my mother believed that after your last breath you slept forever. Those of us who know THE TRUTH, that one must accept Jesus as Messiah otherwise you will be lost forever, are distressed when people refuse to listen to reason, as my mother refused. The last time I saw my mother alive was a Friday night and when my wife Karlyn and I left her home that night I looked at my wife in the car and said to her, “this will be the last time I’ll see my mom alive.” I can’t describe the sadness I experience, even now, as I type these words. That night I begged Jesus to go to her bedside and speak to her and give her a chance to receive Him. When she passed-on the very next day, Saturday August 2008, I was notified at 9am and I was crushed. My spirit was absolutely distressed. The following Sunday morning I was standing by my front door listening to the waterfall from our pond and I had a sense of dread that I could not shake in the pit of my stomach. It was so painful it buckled me over. I could hardly breath. I cried out to God and asked Him to remove this sorrow and dread from me because I couldn’t deal with it, nor did I know how, because of my mothers spiritual condition. It was too painful for me and I just didn’t have the strength to feel so much sorrow all at once flooding my being. I sensed The Holy Spirit come upon me and the thought raced through my mind that God had answered my request! The very next day I woke up and the dread was gone, it was replaced with peace and comfort in a real tangible and palpable way and the sorrow has not returned since. God was about to answer my prayer above and He was going to do it in ways that I could not even consider or imagine. He would create in me the trial and test that would move me to the end of myself and help me to see Him standing on the edge of the cliff with me. What I would come to realize is His hand is reaching out to me, in love, as if to say, Stephan trust me and follow me, we’ll get through this together! As I continued to experience sickness and the inability to live my life out in the real world depression set in and I experienced some really dark days for about 3 years. The depression was so severe I actually made a plan to take my own life. My doctor and I had a discussion about this and we found out that I was experiencing a chemical anomaly that was more than likely causing this dark depression. I was given a prescription and the depression left. God has intervened in my life continually to save me from adverse circumstances. Something very unusual happened on December of 2010. What a way to start the New Year! I was confined to my recliner due to a back injury. Here’s how this happened. I bent down to pickup pine needles that had fallen on the entry way to our front door and my back went completely out. I crawled to the restroom and squirmed my way down stairs. I was unable to function normally from October of 2010 until the end of January 2011. In December, as mentioned above, I was in my recliner and I was wondering where God was in all of this. I remember thinking, Lord you say you will not give us more than we can bare (1 Corinthians 10:13), haven’t I had my share? Out of nowhere I sensed The Holy Spirit came upon me. It was like warm water running over me all at once. This has only happened, in my 41 years of walking with The Lord, about four times. Every time it’s always meant to pay close attention. I had my laptop on my lap and The Holy Spirit asked me to find the song on YouTube Trust and Obey so I did. As I listened to this song that I loved when we were at Little Lake Baptist Church, I began to weep and cry out to The Lord. The Holy Spirit said this to me, “Stephan, you are not in this alone I am with you to help you. I know you are hurting and in pain and I will walk with you through this. I have two things to ask of you. First, trust in The Lord with all of your heart. Next obey The Lord. Trust me and obey me. Then I heard in my mind The Lord asked me, will you do this even as you are in pain? As I wept I cried out YES LORD!!! And so the journey of coming to an understanding of how The Lord uses pain and suffering to draw us closer to Himself started to make sense in ways I don’t have words for. I just knew God was with me! My Understanding How Suffering Produces Trust and Obedience Begins to Make Sense to Me! The whole chapter of Hebrews 5 deals with the priesthood of Christ and our priesthood by following Him. An amazing portion of scripture. Beloved, do not think it strange concerning the fiery trial which is to try you, as though some strange thing happened to you; but rejoice to the extent that you partake of Christ’s sufferings, that when His glory is revealed, you may also be glad with exceeding joy. If you are reproached for the name of Christ, blessed are you, for the Spirit of glory and of God rests upon you. On their part He is blasphemed, but on your part He is glorified. But let none of you suffer as a murderer, a thief, an evildoer, or as a busybody in other people’s matters. Yet if anyone suffers as a Christian, let him not be ashamed, but let him glorify God in this matter. So it became clearer to me. God intends my suffering to draw me closer to Himself and to make me more like His Son. One day when He calls me home He’ll say to me well done Stephan! Think on this with me for a moment; if our Lord suffered and struggled then why do we think we will not suffer and have struggles as The Holy Spirit shapes us into the image of His Son? We are not greater than our Savior and His life is our example to fashion our lives after. Look what God gave to me to heal my heart six months after Honey-Girl’s passing. Meet Jazmin or as I call her Jazz and My Baby-Girl. Jaz is really famous on Facebook because I post about her all the time. Karlyn, my wife, found her with Gloria a dear friend and introduced us and told me that God wanted me to have her. Best Yes I ever made except for marrying Karlyn. Romans 8:36-38: As it is written: Yet in all these things we are more than conquerors through Him who loved us. For I am persuaded that neither death nor life, nor angels nor principalities nor powers, nor things present nor things to come, nor height nor depth, nor any other created thing, shall be able to separate us from the love of God which is in Christ Jesus our Lord. As a Jew who knew absolutely nothing about God growing up, I wish I could share with you the gratefulness I have in my heart, that Jesus Our Messiah, came to me when I was age 10 and began the process of helping me to understand that He loved me, He died and suffered for me, He shed His blood and became my Passover Lamb for my sin and finally HE ROSE FROM THE DEAD ON THE 3RD DAY so that I could have eternal life! I continue to serve The Lord with all my heart and trust Him to get me across the finish line and to win the race He has set before me. Please remember to pray for me and Karlyn we need your prayers desperately! Many have offered me advise, have told me I needed greater faith, I may not know The Lord and if I just pronounce my healing I will receive it. Sound familiar? As you can imagine I have done all the above over the last 16 years. I have wept bitter tears and have had dark nights of the soul pleading with The Lord to heal me and give me my life back! As believers who have been invited by God to fellowship with Him in a deeper walk with His Son, through experiencing suffering, let know one define you or condemn you. You are loved by God and His Son Jesus Christ! One day we will be called to Him and He will look at us and say well done! Only you and Jesus really understand what you are going through and ultimately you and I will answer to Him. Sometimes God heals right away, other times He does it over the process of time and other times He says to us, “my grace is sufficient,” and at that moment that we are not healed, God is calling on us to be living testimonies of His power and grace! People are watching us and they will glorify God because your life, even though it may be broken down, praises His Name with every breath you take! Don’t forget what Job went through and look at one of the most successful Apostles, Paul, he was not healed when he pleaded with The Lord. 2 Corinthians 12:6-10; For though I might desire to boast, I will not be a fool; for I will speak the truth. But I refrain, lest anyone should think of me above what he sees me to be or hears from me. And lest I should be exalted above measure by the abundance of the revelations, a thorn in the flesh was given to me, a messenger of Satan to buffet me, lest I be exalted above measure. Concerning this thing I pleaded with the Lord three times that it might depart from me. And He said to me, “My grace is sufficient for you, for My strength is made perfect in weakness.” Therefore most gladly I will rather boast in my infirmities, that the power of Christ may rest upon me. Therefore I take pleasure in infirmities, in reproaches, in needs, in persecutions, in distresses, for Christ’s sake. For when I am weak, then I am strong. I sincerely hope that my testimony has encouraged you in some small way and inspires you in your walk with Jesus Christ! If you have not asked Jesus into your life please do it now He wants to spend forever with you! Visit my home page and scroll down the page to How to Accept Christ. Keep looking up because Jesus is coming back real soon! Has The World Divided Israel?